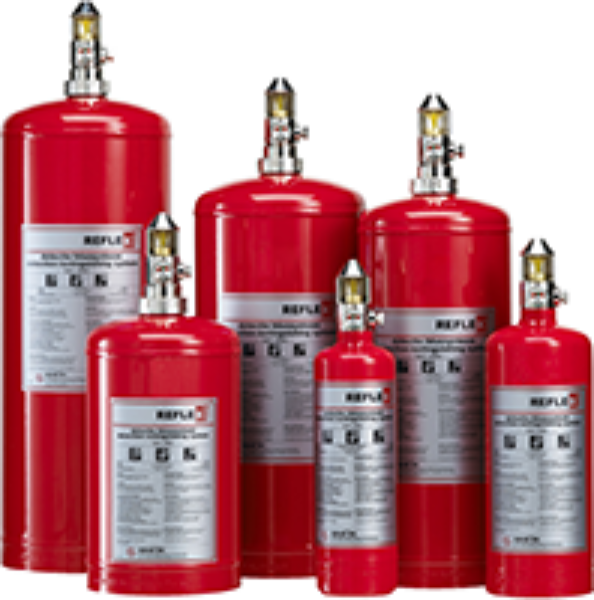 The HFC227ea extinguishing gas, also called heptafluoropropane or FM200, is a non-toxic gaseous fluorinated hydrocarbon and is very effective for the protection of industrial spaces. Applicable to both fires in solids, liquids and gases. FM200 does not conduct electricity and can be safely used in the vicinity of live electrical equipment. The extinguishing gas hardly affects the oxygen content in the room, so no special safety measures are required. Choosing the right Saval Reflex for your application is not difficult. If you know the fire risk (solids = A, liquids = B, gases = C) and the net contents of the compartment, you already know enough. This automatic extinguishing system is available in versions from 1 to 12 kilograms (with increments of 1 kg). 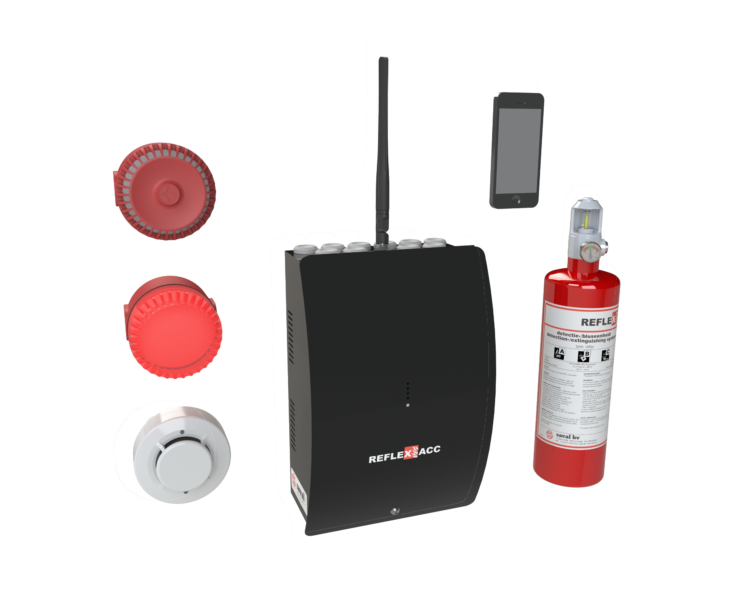 Fast detection through a unique parabolic Reflex detection head.Pressure indicators fitted to check the operating pressure of the system.Flame activation, so unwanted extinguishing is virtually impossible.Simple and fast installation by means of a bracket with safety strap.This automatic fire extinguisher is also available with a manual control button and / or alarm transfer (see options).